Last time we checked in on the Cal “Overwatch” team, it was four wins away from a repeat national title. Now, Cal has closed that gap to just two wins. In the round of 16 of the Tespa Collegiate Series, Cal defeated the University of British Columbia’s UBC eSports in a dominant 3-0 sweep. Cal then followed that up with a 3-1 victory over the University of Delaware’s VGTC Dad Bods in the quarterfinals. UBC has been known to have an elite esports program, having won national championships in titles such as “League of Legends.” They have been relatively quiet, however, in the collegiate “Overwatch” scene. Despite being the clear favorites and defending national champions, Cal seemed to be unsure of what to expect from UBC’s team at the start of the match. On the first map of Nepal, UBC eSports gave Cal a run for its money. Control of the point went back and forth in the the first round of Sanctum, but Cal did not waver, regrouping to push through and take the point to win the round. 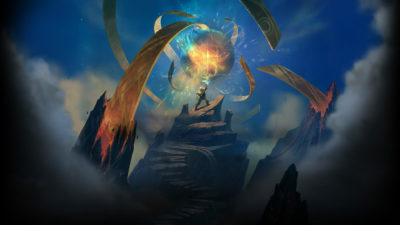 In the second round of Village, UBC eSports was the first to secure control of the point, but Cal won the next three consecutive team fights to win the second round and the map. With a solid read of the opponent, Cal went into overdrive to close out the match. The team dominated on the hybrid map of Hollywood, refusing to give up any control on defense and securing the single tick they needed on offense to win the round. The match then moved to Volskaya Industries, but this time, things started on a knife’s edge. Isaias “izzyyyb” Barrera attempted to flank UBC eSports on Sombra, but he unfortunately lost track of his cooldowns, and the opposing team looked to trap him and pick him off. “I definitely panicked, but … the pressure vanished immediately, and I proceeded to shoot him a bit while trying to dodge his bullets to ensure that I took as little damage as possible while my cooldowns refreshed,” Barrera said. Miraculously, Barrera survived with one health point remaining, and with the outplay, charged up his EMP to give Cal defensive control of Objective A. Again, the team didn’t give up any ticks of control and only needed a single tick on offense to win the round and the match. To secure the victory, Cal pulled out one of their most comfortable compositions, centered around Kevin “SlurpeeThief” Royston’s Orisa, widely considered one of the best on the competitive ladder. Cal steamrolled its way to victory over UBC eSports in the round of 16. Similar to its match against UBC eSports, Cal was not sure what to expect from Delaware’s team in the quarterfinals. 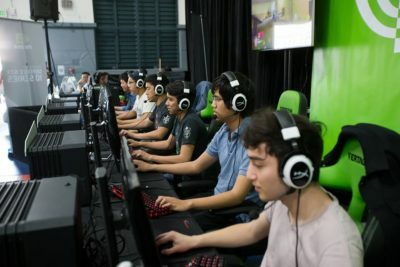 VGTC Dad Bods was the last team remaining from the East, a region that has yet to fully develop its collegiate “Overwatch” scene. Nevertheless, VGTC Dad Bods would not go down without a fight. Starting on Nepal again, VGTC Dad Bods managed to win a series of extremely close team fights to win the first round of Village. Cal bounced back in the second round of Sanctum with multiple combos from Andrew “Quantum” Huang’s Zarya and Daniel “Alined” Lee’s Mei, respectively. The final round of Shrine could have gone either way, with both teams trading team fights back and forth, but VGTC Dad Bods ended up winning Shrine and the map after managing to turn around two consecutive fights from the brink of defeat. Cal chose to move the match to King’s Row, but things didn’t start off any better as it mounted its defense. The team was too overaggressive, and VGTC Dad Bods took advantage of that to secure the point. Cal regrouped and used Lee’s Mei to wall off its opponent’s tanks and pick them off one by one. On offense, Cal failed to secure the point on its first two pushes, but its persistence paid off and it secured the payload on its third try. Eventually, the sustain and tankiness in Cal’s composition was too much for VGTC Dad Bods to stop on the street phase. With the ball rolling, Cal seemed poised to find the upper hand on the third map of Hanamura. VGTC Dad Bods managed to secure Objective A relatively quickly, but Cal was able to hold Objective B for more than five minutes, thanks to its closer respawns. On offense, Cal out-rotated VGTC Dad Bods to take Objective A with ease, and Lee switched to Genji to find a team kill on Objective B, winning the map. Still, VGTC Dad Bods would not give in on Watchpoint: Gibraltar. Early on, Cal found a lot of quick picks and used the chaos that ensued to clean up VGTC Dad Bods. The Delaware team continued to force scrappy fights, but Cal always managed to find a slight edge. With a full hold on defense, Cal pushed with ease on offense to win the map and the match. 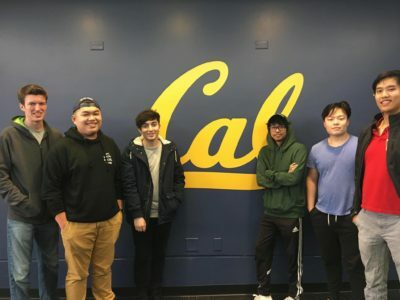 Cal is set to take on the University of Toronto’s Lowlives in the live semifinals on February 17th, and, if it wins that, the team will face the winner of the match between UC Irvine’s UCI Esports and UCSD’s Defenders of Geisel in the live finals. These three remaining schools are all teams that Cal had singled out early in the season as potential threats to a second title run. Even though Cal is the defending national champion, the team has shown some early struggles in the previous two matches, which Lowlives will look to exploit. “Sometimes what you practiced just stops working. The best team will be the one that can quickly figure out why and come up with a new approach on the fly,” said Royston. Cal will have to be quick on its feet if it hopes to win the last two matches of the season. Lowlives is a strong team that dominated the North in the group stages, going not only undefeated but failing to drop even a single map. Cal also played both UCI and UCSD in the group stages, getting swept by UCI Esports and needing to go all the way to defeat Defenders of Geisel. Cal will have a target on its back, with all three of the remaining teams vying for the opportunity to cut down the defending national champions. But if Cal can pull through, it will make victory taste all the sweeter.